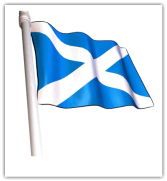 Welcome to the information page for Inchture Area Twinning Association. This page will be updated with events, meetings and other important information. This year to encourage attendance and to make the event a fun day out for all, the AGM is being held in conjunction with a summer picnic. For more information or to reserve tickets for the event then please see the attached Summer Newsletter from Jane Woodford. After the event, we should be able to post some pictures from the day so let's all hope for good weather and a successful meeting!